Nintendo President Satoru Iwata held a Corporate Management Policy Briefing recently in which he explained how the video game market had begun to contract in recent years, meaning hardware and software sales were flagging. There has been some cause for optimism this week, though, with the revelation that Super Mario 3D Land has been outpacing the sales of Super Mario Galaxy in its first year. Nintendo’s latest earnings report states that in its first 13 months Super Mario 3D Land shifted 8 million copies worldwide, while in its first 13 months Super Mario Galaxy sold 7.66 million. However, Super Mario Galaxy did perform slightly better than Super Mario 3D Land in the West, which is crucially where Nintendo is having the most trouble at the moment. Super Mario 3D Land is outselling Galaxy by nearly double in Japan, however, which is the main reason behind the overall outpacing of the Wii game. This at least shows that there's still a lot of demand out there for Mario games, and Nintendo can at least be a little optimistic this year with several exclusive titles emerging on both the 3DS and Wii U. 3D Mario titles tend to attract Western gamers more so than their Japanese counterparts, but a blend of 2D and 3D appears to have been a success for Nintendo. It wouldn't be at all surprising to see a sequel to the game announced at some point. What are your thoughts on this? Would you like to see more of the 3D/2D mixture found in Super Mario 3D Land? Let us know in the comments below. more please it was sort of maligned at launch(no clue why) hope the console marios are kept seperate from it though. @PinkSpider I'd rather Sunshine 2. 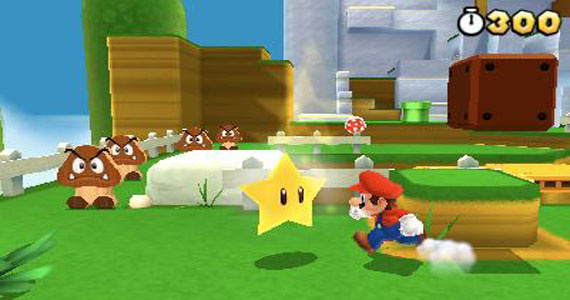 Super Mario Galaxy is way better than 3D Land, but 3D Land is still an excellent game. It's great to see a 3DS game doing so well. How much does the best selling Vita game have? 1 million units? @LuigiTheGreenFire Better not clap to quick, wait until Sony and Microsoft show off their new systems .. -_- SOny's always been making money on long term, it doesn't surprise me would Vita gain a lot of focus with the new system launch .. let us hope for the best for Ninty !! DestinyMan (#4) pretty much said my feelings on this; I'd really like more of the 3D/2D mixture on the 3DS. The WiiU should stick to the health life system. In the end, a good game is a good game; regardless of if it's better or worse than another. This makes me sad. Super Mario Galaxy 1 & 2 are two of the best games ever created, IMO, while 3d Land is a decent, fun romp that feels like Deja Vu. I have never played Super Mario Galaxy or Super Mario 3D Land. Because I'm not sure I would enjoy them at all. The only "real" Mario game I have is New Super Mario Brothers 3DS and I'm not a big fan, as I can barely get to the end of a course within the time limit. I just have a slow head and I'm not good at jumping. That makes the game a "sad" experience, I'm slow, but I don't like games that keep reminding me that fact every 10 minutes. The only Mario game I like is Mario Kart Wii. I can't ever beat anyone other than the NPC's on Easy, but at least I can play on team with others, so I can have fun even though I'm not any good at it. After all these years, I still want Mario 64 2! I love it and thought it was the essence of pure Mario fun perfectly tailored for a handheld. I dont think it should be compared to a console Mario game, different thing for me. So, bring on a sequel! However, it may be a bit harder (pls not as hard as NSMBU) and also have a better, that is more extensive reward for completing the whole game with max. stars. No. I don't want more Mario in the 3ds until 2014-2015. And while it's a good game it's not even close to the greatness of Galaxys. @phle how could you even think that you would not enjoy two of the greatest games ever made. If u think you wouldn't like them im totally intreaged as to what games u like. "NINTENDO IS DOOMED, I TELL YOU!!! DOOOOMED!!!" Anyways, it's not a surprise that Mario 3D Land is doing extremely well in a country that loves its handhelds. 3D Land is easily the worst Mario game I've ever played. By no means is it a bad game. Every other Mario platformer is just so much better though. It's funny cause on the one hand, I really want the new 3D Mario to be more old school, with big open levels like sunshine and lots of exploring and, most importantly, a real challenge. On the other hand, I've been really in the mood for a new 3D Mario so whatever the new game will be I know I'll love it lol. The boss battles against Boom Boom and Pom Pom were quite lame. It's the one area where Galaxy shines the brightest imo. And yupp, the Koopa Kids battles are already getting stale to me with NSMB2. People always complain that 3D Land was too short compared to Galaxy, etc. That's done by design where the levels in the mobile version are designed to be completed within 5 to 10 minutes and console versions are intended for much longer gaming sessions. It's like saying, "I prefer my mountain bike over my kid's tricycle over rough terrain". That's the intended purpose. This is actually kinda sad, Galaxy was a masterpiece, while 3D Land was just "ok".. I guess I'm not much of a fan of the hybrid 2d/3d levels.. I'm not too surprised a handheld game outsold its console counterpart in a place like Japan where they're so hugely popular, but it is rather impressive that Japan by it'self is the main cause. I prefer the large open SM64 style level design for 3D Mario games myself, but I still loved SMG. The 2D/3D mash-up wouldn't be very suiting for the big 3D platformer everyone is expecting but it would be a neat way to shake up the pacing here or there like those crazy floating levels are meant to do. Super Mario 3D Land wasn't quite as good as the Galaxy games for me, but it was almost perfect as a handheld game. I certainly much preferred it to any of the New Super Mario Bros titles. While I'd love a sequel, I think a lot of us are on the very of Mario burn out right now. 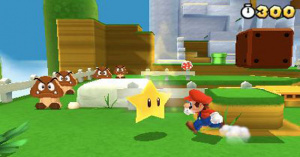 If there's a 3D Mario coming at Christmas for Wii U, maybe leave the next 3DS Mario for 2014? I do hope the 3d mario for WiiU isn't like 3d land. 3d land didn't have any atmosphere (The level map was bland and wasn't themed) or story. And most of the songs were the same in 3d land. Impressive results, it seems Nintendo's blending idea payed off. This game had a perfect concept for the handheld, but as far as the next Wii U Mario game, I want them to return back to a more adventure-exploration style of play. I think i will be bombarded by saying this but i enjoyed Super Mario 3D land more than the Galaxy games.I dont mean galaxy was bad,NO it was great with many power-ups (Come on there is a BOO Mario power up lol) but i didnt enjoyed that much.Okay I'm ready for the fanboys of the Galaxy Games! Personally, I find Super Mario 3D Land more appealing than Super Mario Galaxy so I'm kinda pleased to hear this to be honest. I find 3D Land more enjoyable to play than Galaxy 1 & 2, even though all three are good. The graphics look sharper on my 3DS than the Galaxy games do on the TV, it's nice not having to replace batteries in the Wii remote every now and then, and I generally just prefer playing on the 3DS. All for #2!!!!!! Have the original!!!!!!!!! Makes sense to me. Mario Galaxy is one of (if not my favorite) my favorite games ever and it had rather average sales, New Super Mario Bros is one of my least favorite game series (there are worse games but I expect some games to be bad, NSMB should be so good and just winds up being really boring) and it sold really well. Super Mario 3D Land plays like a 3D NSMB game (thankfully with some of the creative level design of the 2D levels in Galaxy 2, still nowhere near as good though as it is much shorter and I've seen most of the ideas in SM3DL in Galaxy or Galaxy 2) and it sells better then Galaxy but not as good as NSMB. The game that is in between what I like and what I don't like sells better then the game I like and not as well as the game I don't like. I have the First Mario Galaxy. But I'm not far into it. I have multiple games on the Go, Mario Galaxy 1, Kingdom Hearts 1, Final Fantasy 9, Kingdoms of Ameluar, Dragon Quest 8, Jak & dexter 1.. None are Holding on to my Attention I usually choose to watch TV instead of playing. Great to see, as it's a great title. Though, the last numbers I saw on NSMB2 weren't anything outstanding - I think consumers are a bit worn on the NSMB formula. 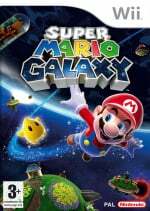 You would love Super Mario Galaxy because of its beautiful music and story all by itself. Also there is no time limit for most levels unless your playing on a Prankster Comet mission. I love Super Mario 3D Land. Seriously. I love it. Today was actually the day I beat it for the 8th time. True fact. But, I love Galaxu infinitely more. It is the perfect game to me. Galaxy was so innovative, had flawless gameplay, excellent story, superb music, and top notch visuals. I love the gameplay style of 3D Land and the mixing of 2D/3D at the heart of the game. But I really, really miss the open, sprawling worlds of 64. And really, to limit Mario Wii U to linearity would be a crime. I would totally by another 3D Land for the handheld. But keep console Mario games open and explorative. Keep them beautiful and sprawling. I want to be wowed every time I take a look at the level. Seriously. The perfect 3D Mario to me would be Toad Town as the hub world and you visit different parts of the Mushroom Kingdom (and maybe even places like Isle Delfino) through warp pipes, cannons, boats, and even just walking there. Make it big. Also, M&L co op please. Super Mario 3D Land is the template of where 3D Mario needs to go imo. By far my favorite 3D Mario to date. Add in co-op, additional power ups, increased difficulty and intricate level design and you got yourself a classic. Totally agree! Never cared too much about the 3D Marios before, but 3D Land managed to change this. Now I am thinking about trying out both the Galaxies... finally! @Super Minus World: I envision a sprawling Mario Universe similar to Ocarina of Time, with Toad Town as the central hub, and Mario rides Yoshi across vast plains at high speed (Yoshi gets a Sonic-like speed boost for this exact purpose) similar to how Link rode across the Hyrule plains. Once you reach an area by land, sea, or even air, you unlock a warp pipe that goes back to a room somewhere in the sewers. And there are goal stars hidden all over the universe in addition to the regular course objectives! Ohh, and make the entire world a giant sphere just like planet Earth, with oceans, tropical zones, forests, desert, and polar caps! I think you missed the thrust of why @phle wrote that - because (and I'm in the same league) he/she doesn't have enough 'twitch' dexterity to get a great deal of fun from 'regular' Mario platformers so the extrapolation was based on gaming self-esteem, not that the games in question were crap. 3D Land was better than Galaxy 1,but Galaxy 2 was better than both,and 64 was THE best. I love both games 3d land was a little more nostalgic. While I enjoyed both, Galaxy is actually much better and really a near-perfect game. I quite enjoyed both games. What i don't understand is why people think this really means anything either way. Just because one game sells more copies than another, on different consoles no less, does not really mean its the better game, or should necessarily be perceived as such. Theres lots of other factors. First off, 3D Land, as a handheld game, was cheaper. Thats gotta be good for SOMETHING in terms of sales. Second, 3D land came out at the end of 2011, the 3DS' first year. I don't recall being excited for any big releases that year that were not N64 remakes. It came at the end of a big dry spell, and games like MK7 and RE:R were still a couple months away, which is again gonna move a few extra copies. Galaxy, by comparison, came out a little over a year into the Wii's life cycle, at a time when the system had a much more respectable library than the 3ds' at the time of 3D Lands release. we had already seen some big first party titles on the Wii, including Zelda, Metroid, Mario Party, Mario Strikers, and Paper Mario. Not to mention that in 2007, the DS was going strong, where as in late 2011, the Wii was starting to collect dust. So I don't think we were quite as desperate for something, ANYTHING, to play at the time of Galaxy's release as we were when 3d Land came out. Not to say people weren't looking forward to Galaxy, but it was a different situation. super mario galaxy was great, but Super Mario 3D Land combined the best things about 2d and mario games, it really is one the best reasons to own a 3DS. Its as long as a Mario Bros game. I'm really liking SM3DL..I wish it were longer though. I'm on the final level. (I heard once you beat it, you can play again as Luigi. True??) What I really can't wait for is Luigi's Mansion: Dark Moon. I've had that pre ordered from Amazon since November 2011!! Super Mario 3D was kinda lame. If SM3DL 2 is in the works, I'd hope it's a major improvement over this one. Super Mario 3D land was fun, but Galaxy is obviously better! Super Mario 3D land was a bit of a disappointment, the game was way to easy and a lot of the levels were copy and past from mario galaxy like the flip panel levels. I really hate the flip panel levels in 3D land and in Mario Galaxy they just feel so uninspired and the levels always look boring. There where only a few stand of levels that I enjoyed in 3D land like w4-1, w5-1, w5-2, w6-1, w1-1 and w1-3.